Caroline Parent-Gros from Domaine A-F Gros in the Bourgogne and daughter of the Owners and Winemakers, Anne Francoise Gros and Francois Parent, was in town (Washington DC) and guided us through a tasting of her families smashing 2010 Burgundies during a winemaker dinner at the newly opened at Range in the Washington DC area. The Gros family has been making wines in Burgundy since the 1830′s. The Domaine A-F Gros was created in 1996 when Jean and Jeanine Gros retired and divided their Domaine Gros-Renaudot among their 3 children, Michel, Bernard and Anne-Françoise. 3 new domains arose out of Jean and Jeanine Gros’ retirement: Domaine Michel Gros in Vosne Romanée, Domaine Gros Frère & Soeur directed by Bernard in Vosne Romanée, and Domaine A-F Gros in Pommard. In Vosne, there is also a domaine of cousin Anne Gros. So in total, there are 4 Gros domaines, all of them independent from each other. Anne-Françoise married François Parent, who also brought a domaine into the marriage. Today, after the purchase of more vineyards, the husband and wife domaines work alongside each other and present a treasure of appellations from both the Cote du Nuits and Cote du Beaune. Their vineyards are mainly in Vosne-Romanée, Chambolle-Musigny, Savigny-les-Beaune, Beaune and Pommard villages and the Hautes Côtes. Francois is renowned for his wines of elegance and distinction, which are the perfect expression of French Pinot Noir. Leaning towards a bio-dynamic approach, his traditional methods of cultivating the land and tending the vines are intimately adapted to the different micro-climates, soils, and expositions of the vineyards. Anne-Françoise and François live in Pommard but the winery is in Beaune. Former Citronelle Wine Director and Sommelier Kathy Morgan is a Master Sommelier. There are only a bit more than 100 sommeliers in the world who have achieved the title of Master Sommelier. The Next Generation: Caroline, Rosalie and Mathias. Anne-Françoise and François have three children: Caroline, Rosalie and Mathias. Rosalie has nothing to do with wine, while Caroline (in her mid 30s, she has 2 children) and Mathias (in his early 20s) work side by side with their parents and are slated to eventually take over. Caroline focuses on the sales side (with her mother), while Mathias on the winemaking (with his father). Tom Sietsema from the Washington Post: “Descriptions of Range, the latest creation from “Top Chef” alumnus Bryan Voltaggio, make the Chevy Chase Pavilion location sound more like an ocean liner than a restaurant. Three hundred seats! Thirty cooks! Nine food stations! Did you know Range also stocks two master sommeliers? The last detail is offered by one of the title holders, who proudly tells her customers the claim is shared only with the fabled French Laundry in Napa Valley. Few restaurants have been as eagerly awaited as Range, the first foray into Washington by Voltaggio, whose three establishments in Frederick -- Volt, Lunchbox and Family Meal -- draw food enthusiasts from across the region. Part of the fuss stems from the chef’s celebrity and part of the attention is explained by the reality: Despite all the money and the stomachs in the area, Friendship Heights is poor when it comes to choice places to dine. The prime seats are those to the left of the bar, a curved stretch with floor-to-ceiling windows that look into the atrium on one side and with a view of the cooking stations -- “a chef’s playground,” Voltaggio calls them -- on the other. The expanse in the back feels more like an overflow room. Range’s cream-colored seats and muted palette let the food shine; a retail shop with Voltaggio-approved kitchen equipment feels as if Williams-Sonoma crashed the party. Take advantage of the sterling credentials of the sommeliers. Keith Goldston and more recently Kathy Morgan clearly enjoy sharing the stories behind their liquid wares, which call to both the haves and the have-not-as-muches with a broad range of wines and prices. France is particularly well represented." We tasted vintage 2010 wines. Caroline Parent: “2010 could be compared to 2002 with its structure and tannins. Small volume (-30 to 50%). 2010 will be a complex wine representative of big Burgundy wines to be aged. It is a collection vintage. From a parcel located on a very well exposed small hill with the forest behind, which protects it from strong winds. The vines are planted so they follow the slope and contours of the small hill. This layout permits vines to be planted on steep slopes without the risk of erosion of the soil. Generous and robust, full-bodied and round, it combines engaging berry aromas with real strength. This is a lovely wine and a good step up from most regular Bourgogne. A-F Gros is an excellent source for this wine on the upper slope facing south. Superb freshness on the nose and palate. Displays great minerality and acidity. Lovely vibrant palate with fine tannins and excellent length. This appellation has received Burghound’s Sweet Spot award for the last five vintages. Boucherottes is located near the Pommard border but surprisingly produces a fruity style of wine without hard tannins. The earth here is supple, very fine and quite red in color. The yield from the old vines here is very small. The regularity of this cru is quite remarkable. Red-blue pinot fruit of serious style and body. A very smart wine from Beaune, a commune that is starting to produce some very exciting wines at reasonable prices. Like all good reds from Beaune this merits some time in the cellar. From vineyards totaling 39 acres, divided into several parcels with different localities: Frémières, Le Pas de Chat, Derrière le Four, Les Athets. The parcels are fermented together. Lovely depth of colour. An aromatic nose leads to a rich, softer, rounder palate typical of the appellation (when compared to Pommard or Beaune). Still retains the minerality that makes 2010 so special. A really lovely example of what Chambolle should produce. From a parcel of 35 ares. One of the strengths of the A-F Gros range are the three Vosne-Romanee Lieu-dits. Clos de la Fontaine is a beautifully balanced wine with all the spice you would expect from Vosne-omanee. Not a big wine but one that expresses the style and class of Vosne-Romanee with its bright, mineral infused flavours of berry and earth. 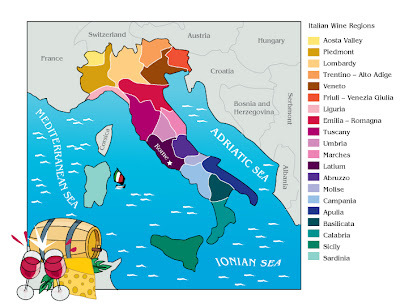 Italy is home of some of the oldest wine-producing regions in the world. Etruscans and Greek settlers produced wine in the country long before the Romans started developing their own vineyards. 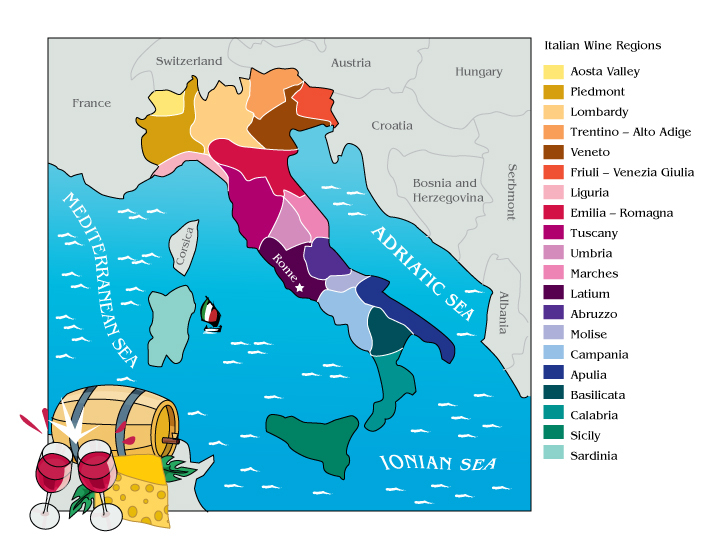 Two thousand years later, Italy is world leader in wine, accounting for about 20% of world wine production. Italians also lead the world in wine consumption by volume, 59 liters per capita, compared with 8 liters per capita in the US. Wine is grown in almost every region of the country. My contribution is a bit broader than Italian natural wines. After a short primer of different concepts of “green” winemaking, including natural I profile “Agricola Querciabella” is a leading winemaker in the Super Tuscan movement, i.e. ultra-premium wines sold as IGT wine as the wines are made outside of the DOCG regulations. Agricola Querciabella has become a leading winemaker in the cruelty-free biodynamic movement, i.e. the 100% vegan approach to biodynamic winemaking. What are natural wines? Generally, the idea behind natural wine is non-intervention and a respect for nature. Natural wines are part of a group of wines that I would call “green wines”, wines made with an ecological concept in mind. There are several different concepts of “green wines”. Organic: Organic generally means the use of natural as opposed to chemical fertilizers, insecticides and pesticides. The key is: no chemicals. Vegan: Vegan refers to the process of "finning" the wine. Proteins, spent yeasts and small organic matter in wines are sometimes eliminated from wines with fining agents made from animal products. Fish bladders, egg whites, milk proteins and even bull’s blood (not allowed in the US or France) are all used as fining agents. As an alternative, Bentonite, a specific type of clay, is used for clarification in vegan wines. It’s important to note that vegan or vegetarian wines may or may not be made from organic grapes. Fair trade: Fair trade wines first came onto the market the US in 2007, following trends in coffee, tea and produce. Fair trade refers to the conditions and wages paid to employees of the winery; it guarantees employees a fair and "livable" wage for their product. Fair Trade certification of wine has been around since 2003 in Europe. The certification means that wineries met certain standards for living wages, environmental sustainability and community improvement. Oakland's TransFair USA just announced that it has begun certifying Fair Trade wines from Argentina, Chile and South Africa for the American market. Carbon footprint: The carbon neutral label comes from a different angle: global warming. All economic activites have a carbon footprint, including wine making. Carbon neutral wineries are trying to make a contribution to the general efforts of reducing the emission of carbon dioxide. A major aspect of carbon neutrality however is outside the control of wineries. It is the transport of the wine from the winery to the consumer. For example, the carbon dioxide emission of a Bordeaux send to New York City by ship is lower than that of a California wine transported on the road. Water footprint: A new thing is water footprint, reflecting the concern that the planet is moving into a period where water becomes more and more scarce. From the Chianti Classico DOCG region in Tuscany, Agricola Querciabella has become known among wine lovers for taking the concept of premium wines to the extreme. Agricola Querciabella is a leading winemaker in the Super Tuscan movement, i.e. ultra-premium wines sold as IGT wine as the wines are made outside of the DOCG regulations. Second, Agricola Querciabella has become a leading winemaker in the cruelty-free biodynamic movement, i.e. the 100% vegan approach to biodynamic winemaking. Agricola Querciabella was founded in 1974 by Giuseppe Castiglioni, a wine connoisseur and fine wine collector from Milan, who had made a fortune in the construction business, including in Mexico. Giuseppe Castiglioni initially planted vines as a hobby, but soon set about authoring with his Camartina—the flagship wine of Querciabella - a Super-Tuscan success story. Money was not an issue when Giuseppe Castiglioni bought a run down estate in the Greve region. His main concern was to make wines that could match with the fine French wines from Bordeaux and Bourgogne that he liked to drink so much. 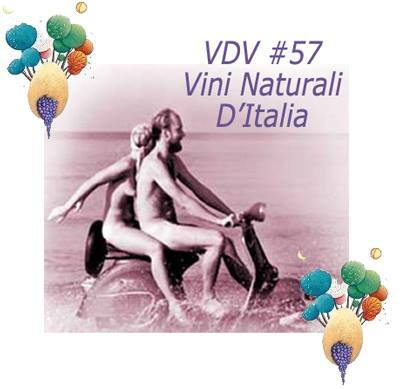 The shift to vegan biodynamic winemaking was engineered by his son, Sebastiano Castiglioni, who took over the management of the estate in the 1990s. Under Sebastiano Castiglioni leadership, the trend of perfection is still the utmost priority. Only the best of everything is used, like stainless steel tanks with computer control, peristaltic pumps, 100% natural yeast and only the finest of the fine oak barrels. Quality is something that the Castiglionis do not compromise upon. Also, over time, they established an elite winemaking cadre, including winemaker Guido de Santi and famed consultant and Super-Tuscan specialist Giacomo Tachis. Batàr, a blend of Pinot Blanc and Chardonnay; Camartina, a blend of Cabernet Sauvignon and Sangiovese; Palafreno, a monovarietal Merlot; and Querciabella, a Chianti Classico DOCG made of 100% Sangiovese. From the vineyards in coastal Maremma, Querciabella produces Mongrana, a blend of Sangiovese, Merlot, and Cabernet Sauvignon. Camartina—the flagship of Querciabella—was Castiglioni’s first contribution to the Super-Tuscan movement. Camartina continues to be a defining example of the Super-Tuscan genre. While Sangiovese was the predominant varietal for the greater part of Camartina’s early career, the percentage of Cabernet Sauvignon has increased gradually over the years, with recent vintages favoring Cabernet. Batàr is Querciabella’s high-level Tuscan white, inspired by the white grand cru wines of the Bourgogne. Initially, Batàr was a Pinot Blanc and Pinot Grigio blend. Today, it is a 50/50 Pinot Blanc and Chardonnay blend. Its stylistic orientation altered with the 1998 vintage, when the use of new oak was reduced, bringing Batàr within much closer range of its Burgundian archetype. The portfolio’s penultimate wine, Palafreno, is monovarietal Merlot, debuting with the 2000 vintage. Its vinification regimen entails a fairly lengthy maceration period of 18 days and aging in 100 percent French oak (60% new and 40% first passage) for approximately 18 months. Dr. L Sparkling is 100% pure Riesling - the crisp, fruity grape that has made German wine famous for centuries. It is made using the Charmat method, which produces bright, clean sparkling wines in a more affordable wayRecently, Ernst Loosen was in town (Washington DC) and I had several opportunities to meet up with him. I bought several cases of his wines, including a J. Christopher Pinot Noir, a wine he makes in collaboration with Somers in Oregon, and his Dr. L Riesling Sparkling, a wonderful German Sekt for the summer at a very attractive price. This posting is being published as part of the Weinrallye, a monthly blog event in Germany. 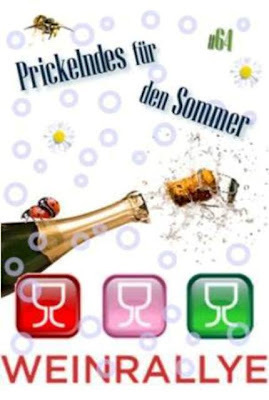 Participating wine bloggers - mainly in Germany - are all releasing postings today under the heading "Sparkling Summer Wine”. Weinrallye is the brainchild of Thomas Lippert, a winemaker and wine blogger based in Heidelberg, Germany. This month's wine rally is organized by Thorsten Jordan with a little help from his friends). The theme is: A Sparkling Wine for the Summer. I have chosen to write about the Dr. L Riesling Sparkling from Weingut Dr. Loosen. Ernst Loosen is a winemaker based in Germany, who now makes 4 different wines in Germany and the USA: First, Mosel Valley Rieslings, mostly fruity-sweet that made him so famous in the world; second, Pinot Noirs and other wines from the Pfalz, all dry, where he owns Weingut J.L. Wolf; third, the J. Christopher Wines, a collaboration of Ernst Loosen and Jay Somers, mainly Pinot Noir, from Oregon and fourth, the Eroica wines, a collaboration between Dr. Loosen and Chateau Ste. Michelle, the giant wine producer, in Washington State. Weingut Dr. Loosen is located just outside Bernkastel in the Mosel wine region. The vineyard area totals 22 hectares. Production amounts to 15.000 cases. Ernst Loosen won the "Riesling of the Year" of the German wine magazine Der Feinschmecker in 1989. In 2001, the Gault Millau Weinguide named Ernst Loosen as the German Winemaker of the Year. Ernst Loosen makes both a still and a sparkling Dr. L.
Dr. L Riesling Sparkling is the sparkling sibling of the (still) Dr. L. It is like the Dr. L 100% pure Riesling. It is made using the Charmat method, where the second fermentation is done in a pressurized tank to keep the bubbles in the wine. This method produces bright, clean sparkling wines in a more affordable way, which makes it possible to offer this charming bubbler at a very nice everyday price. As is usual with Riesling — especially from a cool climate like Germany’s — a juicy touch of sweetness was left in the wine to balance the naturally brisk acidity. What you end up with is a refreshing, fruit-driven sparkler that’s a pleasure to drink any time. It’s a great choice for summer parties on the lawn, a Wednesday evening at home, or any time you need a little sparkle in your life. Not well known outside of Germany, sparkling wine has a long, rich tradition in Germany, where it has been called “Sekt” since the late 1800s. Germany is one of the largest sparkling wine markets in the world. One out of four bottles of sparkling wine is consumed in Germany. Sekt is made in all German wine regions, both in the méthode traditionnelle and charmat method. There are three groups of Sekt makers: (i) large and (ii) smaller Sekt houses, who only make Sekt and (iii) winemakers, who make predominantly wine, but complement their wine selection by a few Sekts. The Sekts produced by large Sekt estates tend to be in the demy-sweet and sweet range, while the Sekts of smaller estates and the wine makers are mostly in the brut and extra brut range. In addition to Sekt, Germany produces semi-sparkling wine, which is called Perlwein. But the production of Perlwein is small. There is a dozen or so large Sekt houses. They produce more than 2.000.000 bottles each annually. Most of these large Sekt houses were established in the 1800s. At that time, there was only one method known to produce Sekt, the méthode traditionnelle. But in contrast to the champagne houses, the large Sekt houses have all moved to the charmat method as main method of the second fermentation after World War II. Like the champagne houses, Sekt houses do not own vineyards, but purchase the base wine from winemakers. Finally, increasingly, there is a number of top quality winemakers, who, in addition, to their still wines, have started to include Sekts in their portfolio. These Sekts are typically vintage Sekts, from a specified vineyard, made of specific grapes, often Riesling, in the méthode champenoise and with little or not dosage (brut or extra but). Anne Cuvelier from the Cuvelier family (that owns, inter alia, Chateau Leoville-Poyferre in St. Julien, Bordeaux) was in town (Washington DC) for the Heart’s Delight Event. On the side, Annette Schiller from wine tours by ombiasy organized a winemaker dinner with her at Eola on P Street in Dupont Circle in Washington DC. Anne also wanted to visit Virginia wineries. We visited 3 of the leading wineries in Virginia, all three of them intertwined with Bordeaux: Boxwood, Linden, RdV. We stared with the 2012 vintage. These wines are currently in barrels and not yet blended. That gave us the opportunity to taste different grape varieties at this very early stage of winemaking. In Boxwood’s barrel cave, barrels lie atop rocks that serve as humidity controls, and the room was constructed underground to help in maintaining a constant temperature of 55 to 65 degrees. The Merlot was soft and smooth with notes of cassis and cherries and some hints of vanilla. The Cabernet Franc was clean with characteristic pepper notes. The Petit Verdot was inky with concentrated plum flavors. The Cabernet Sauvignon exhibited lovely flavors of black cherries and also a bit of plum. From the barrel cave, Rachel led us to the tank room, where the 2011 vintage, already blended, was resting. In 2011, September rainfall and little sunshine raised concerns of botrytis and sour rot; therefore, Boxwood opted for selective harvesting. Clusters that contained over 50% rot were not collected, and salvageable clusters were sorted berry by berry. The result? Lower yields but clean fruit. Topiary is the St. Emilion-style blend with Cabernet Franc as the primary grape. Garnet in the glass, notes of strawberry and garden herbs on the nose, on the palate silky with firm tannins, good finish with strawberry and spice flavors. This blend was already aged in French oak barrels for twelve months, and upon bottling it should continue to develop quite nicely. Boxwood is the Medoc-style blend with Cabernet Sauvignon as the primary grape. Deep purple in the glass, notes of blackberry, dark plum, cigar box, with some anise on the nose, silky smooth with round tannins on the palate, intense finish of dark fruits. This blend was already aged in French oak barrels for twelve months, and upon bottling it should continue to develop quite nicely. We then went to the tasting area, to try the 2010 Boxwood and Topiary, which are already bottled. Garnet in the glass, notes of strawberry, pepper, tobacco on the nose, lush dark fruit on the palate and with a subtle pepper flavor. Full bodied with well-structured ripe tannins, blackberry dominates the palate with a long and smooth finish. We also tried the 2007 vintage, which according to Rachel was the first true vintage for Boxwood. 2006 was the first, but she does not count these wines. Plum and red berry on the nose, broad mouth feel, nice blue fruits and cassis with a little leather on the palate, finishes with ripe tannins. Notes of blackberry, cassis, and dried cherry, coupled with a pinch of saddle leather on the nose, a lovely concentrated wine, with low acids, big fruit, and low-to-medium tannins. The center is a reception room with a circular stainless steel tasting bar. This space overlooks the circular cave that is totally underground and fitted with a dome ceiling. The cave fits 255 (currently housing 75) French oak barrels arranged in concentric circles. The third structure, on the same level of the other three, is the chai with 12 stainless steel fermentation tanks. The fourth structure houses the bottling plant and case storage. The Estate grown grapes are hand harvested, brought to the winery and sorted. After being destemmed on the press pad, the whole, uncrushed grapes go through a temperature-controlled, whole-berry fermentation in the stainless steel tanks. “When berries are not crushed, wine ferments little by little, which adds to the complexity” explained wine maker Adam McTaggert over lunch. Then “punch-downs, pumpovers, and delestage are performed.” Once fermentation is complete, the wine is pumped through stainless steel pipes into 100 percent French oak barrels nestled in the hillside cave room. Malolactic fermentation takes place in the barrels. After aging for up to a year, the wine is pumped to the bottling room, where Italian machinery fills, corks, and labels the bottles on the premises. John Kent Cooke brought famed French flying winemaker Stéphane Derenoncourt to consult with Boxwood. Stéphane Derenoncourt is entirely self-taught. He and his wife now work with a populous portfolio of estates in Bordeaux and elsewhere, including Domaine de Chevalier, Canon-la-Gaffelière, Smith Haut Lafitte, Prieuré-Lichine and Beauséjour Duffau-Lagarrosse. In June 2008, Derenoncourt and Vignerons Consultants were hired by Francis Ford Coppola to work on the Napa Valley property Rubicon Estate Winery.